If you have lost your passport the steps to getting a new one are easy, depending on where you are, you can a new one in less than a week. 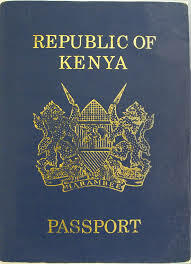 However the Kenyan government has change the whole process of aqcuiring a passport and for those who wish to apply for the first time have to do so via the ecitizen website. If you live outside the country, the best option would be to call the nearest embassy and talk to them and they will guide you through getting a temporary passport that will help you travel as you wait for your original copy to be processed. Here are the basic steps on how to renew and replace a passport. 1. Go to ecitizen.go.ke and register an account. 2. Login to the ecitizen platform after successful registration and navigate to Department of Imigration Services then submit application then Passport and Temporary Permits. 3. You should then click on Passport Application form. The page that opens has instructions on how to fill the application form. 4. After reading the instructions scroll downwards and then click on apply now. 5. Fill the application form. 6. Select the mode of payment and then pay the passport fees. The payment modes are: M-PESA, Debit/Credit Card, Airtel Money and eCitizen Agent. 7. Download and print the application and three application receipts. 8. Submit the application form in person plus the necessary documents to an immigration center near you (Nairobi, Mombasa and Kisumu).